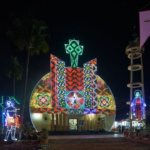 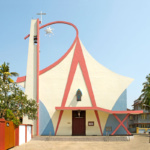 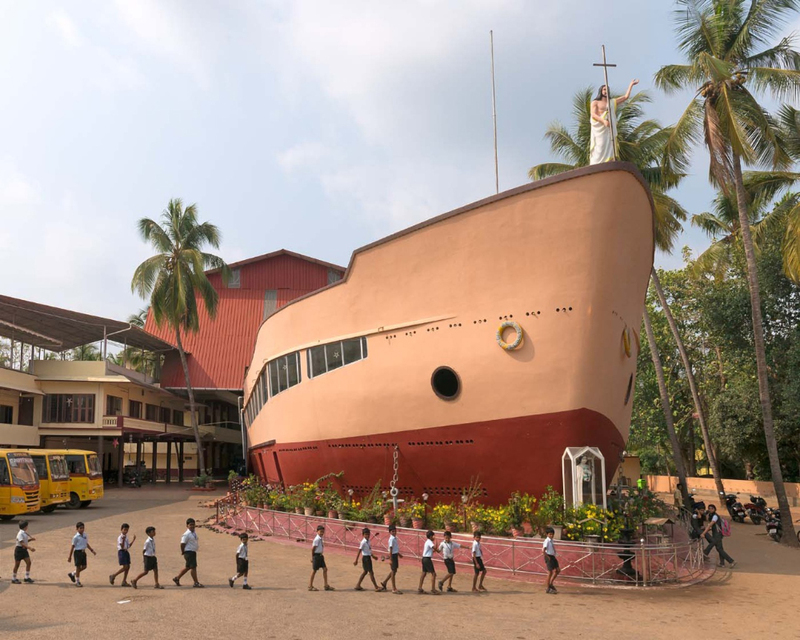 Polychromatic, Le Corbusier-inspired postmodern churches in Kerala are hidden gems of India that were recently photographed by art studio Haubitz + Zoche. 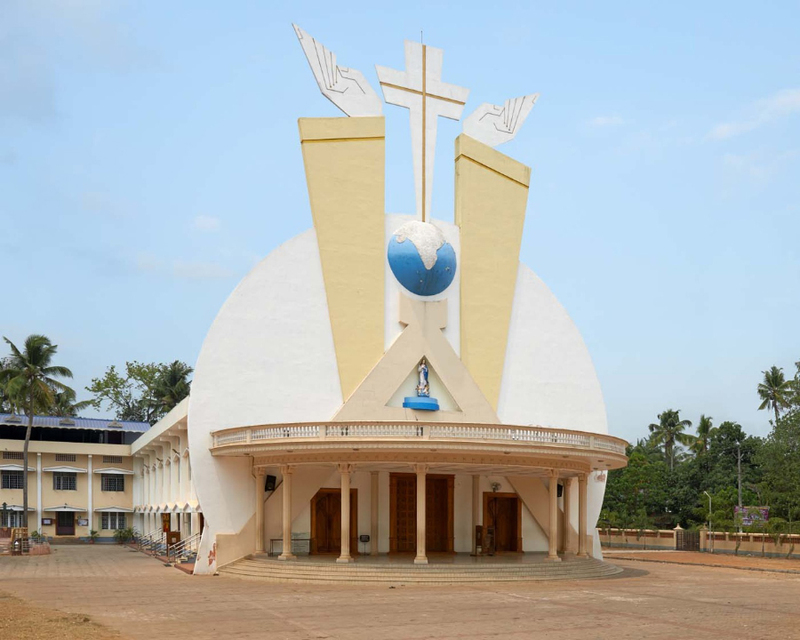 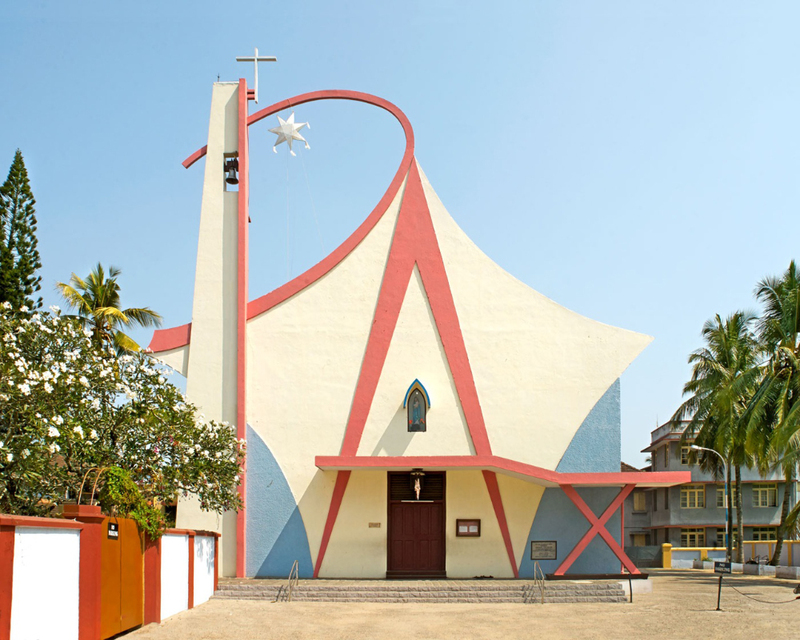 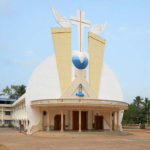 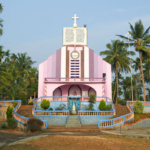 In the series titled Hybrid Modernism, the post-colonial churches built after the country’s independence in 1947 are efforts by Indian architects to reinterpret Western influences and develop an identifiable local language with bright colors and sculptural forms. 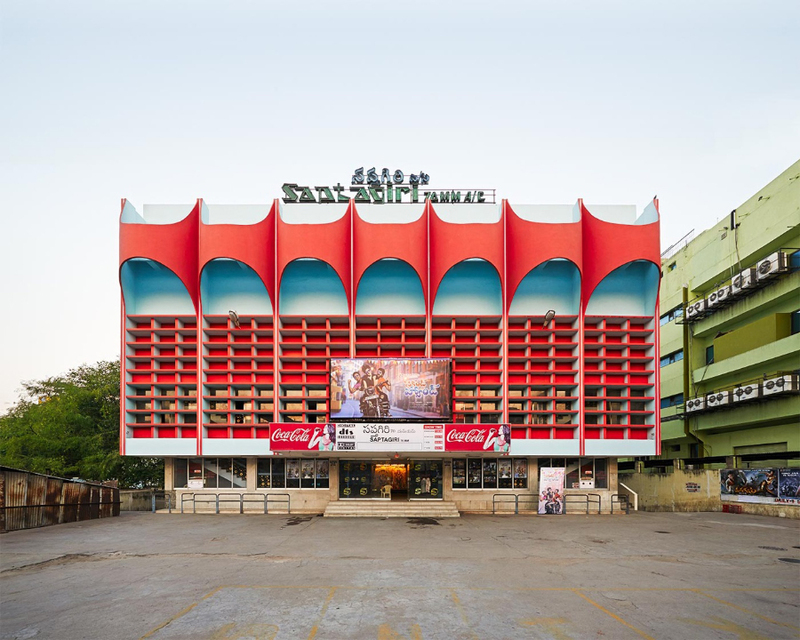 In post-independence India, Le Corbusier was responsible for the master plan of Chandigarh, a city in the north of India. 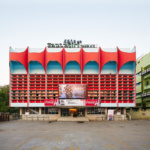 He also built influential buildings such as the High Court, which became famous for the play of colors contrasted against the beton brut surfaces. 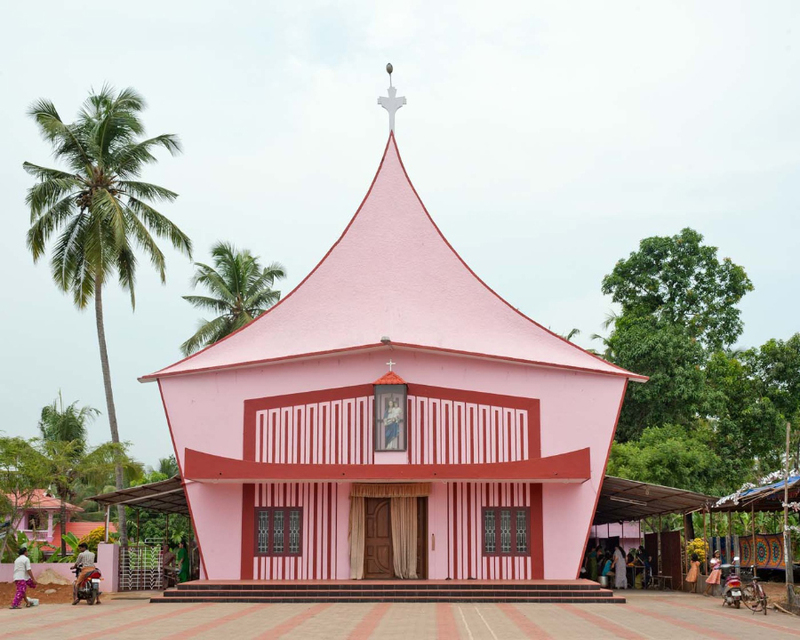 His style made its way across the country into the architecture of Kerala, a southern state in India. 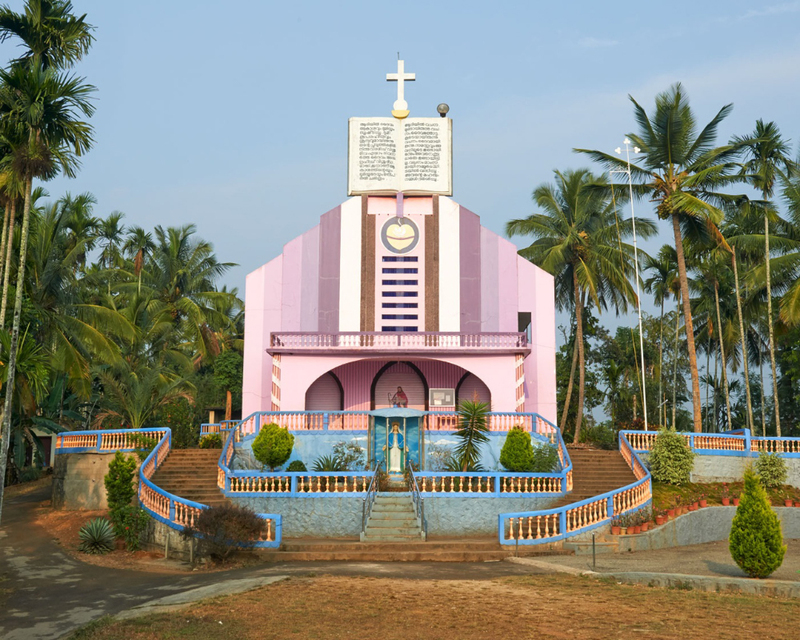 Haubitz+Zoche shunned the popular churches and pilgrimage centers in Kerala, but explored the lesser-known ones that contain a variety of Western influences, Corbusian and beyond. 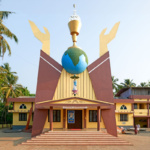 A mixture of postmodern motifs can be seen in the architecture. 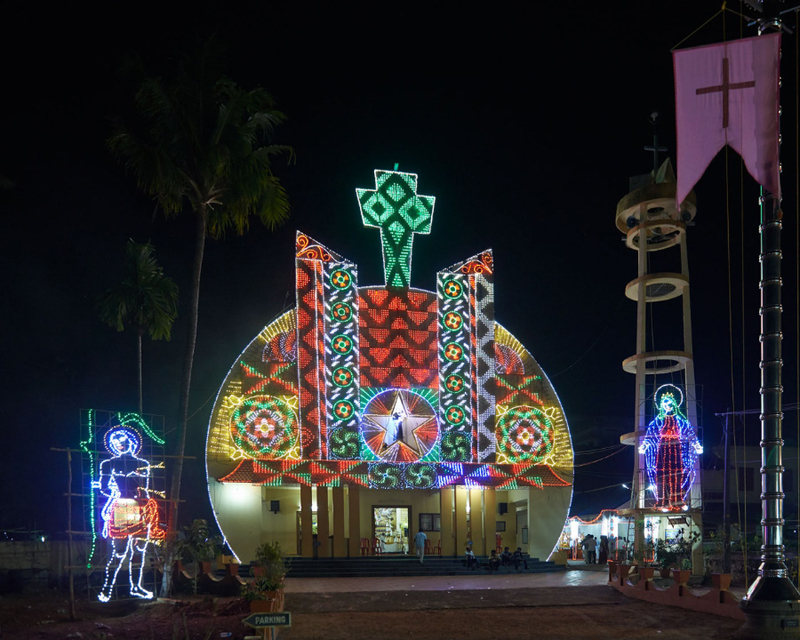 Sculptures of stars, crosses, globes, and Bibles populate the facades, conveying the world-encompassing, light-radiating themes of Christianity. 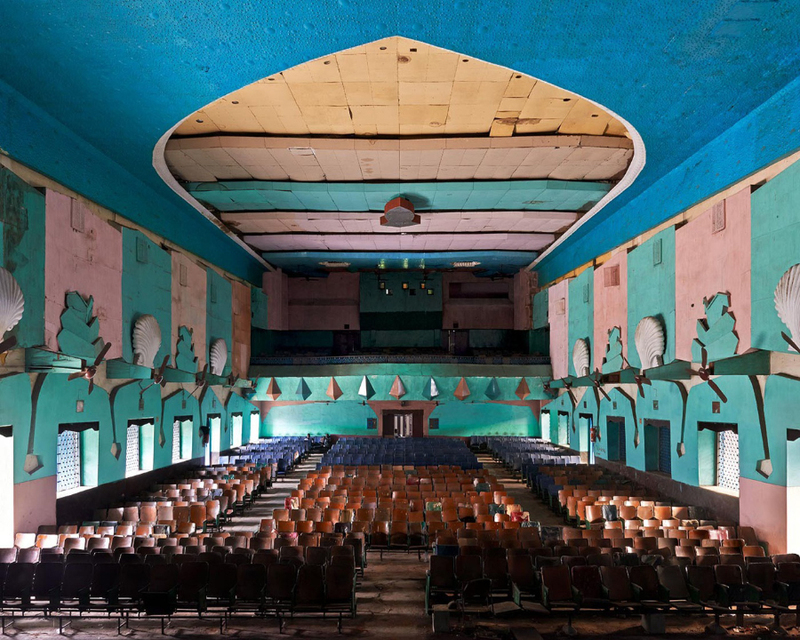 The photographs are an extension to their work from 2014, when they captured the extravagantly ornamented movie theaters of South India. 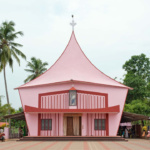 A similar cinematic sense can be discerned from the region’s religious architecture. 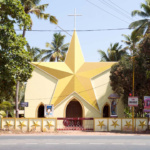 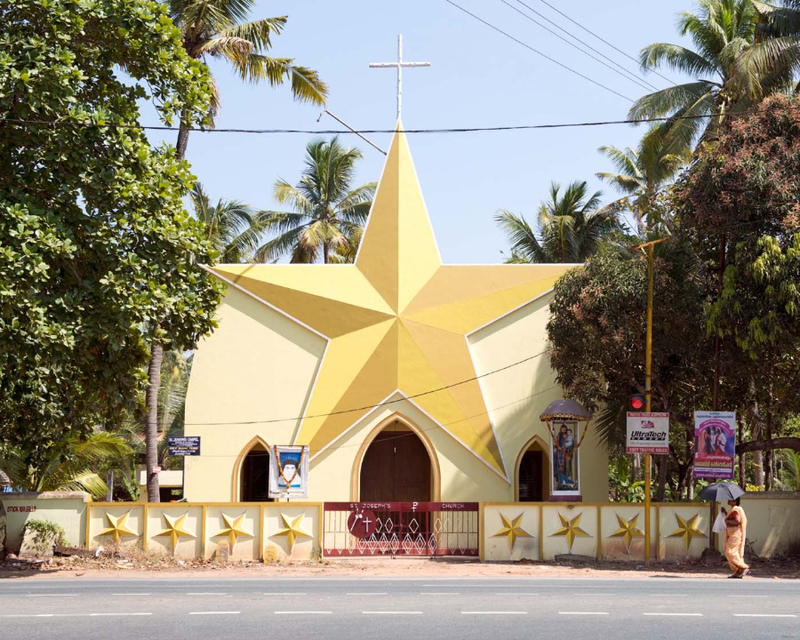 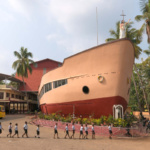 An exhibition of the photos, titled Postcolonial Epiphany: Churches and cinemas in South-India, is now on view at Zephyr, a modern art museum in Mannheim, Germany. 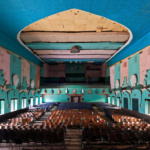 The exhibition highlights the spellbinding magic with which these venues captivate their audiences. 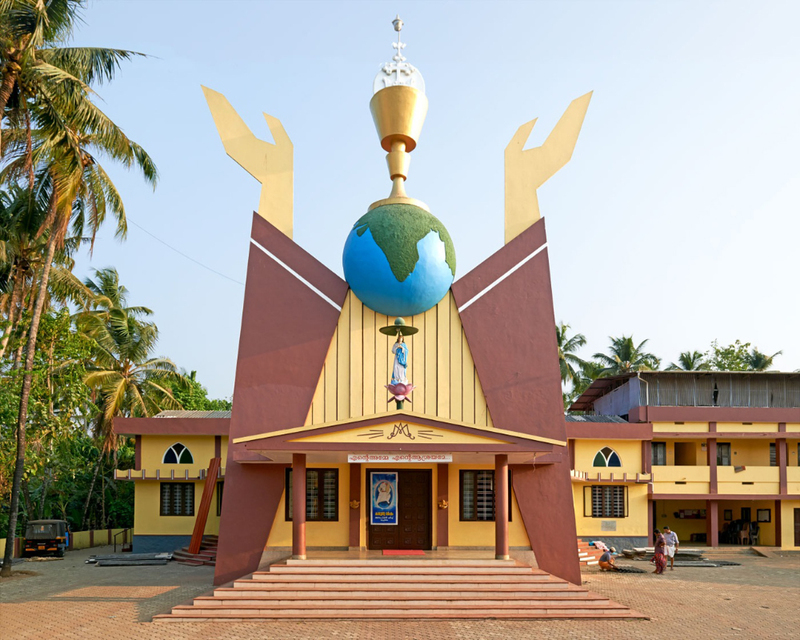 Visitors can experience the architecture’s otherworldly attraction by looking at the photographs.